With a luxurious 100-percent cotton construction with a long staple yarn, this hotel luxury cotton blanket has the perfect blend of warmth and breathability. With a 350 GSM, this blanket is great for both winter and summer. 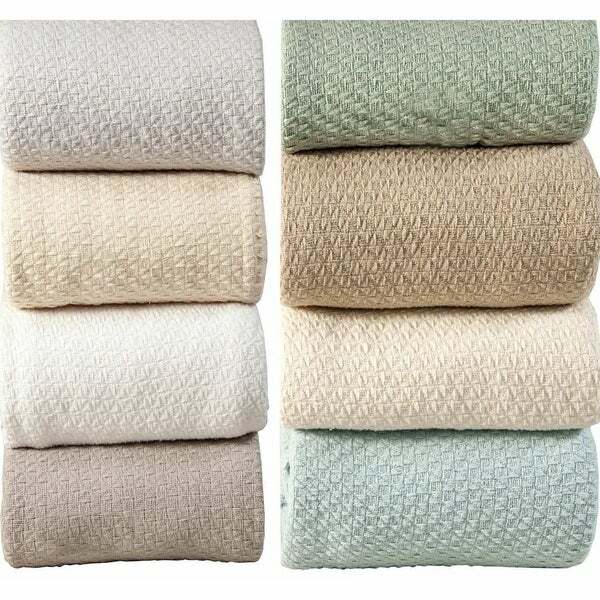 The blanket features an elegant box weave pattern for an attractive, modern look that accessorizes beautifully with almost any bedding or decor. Best of all, this blanket is machine washable and dry able for easy care and cleaning. 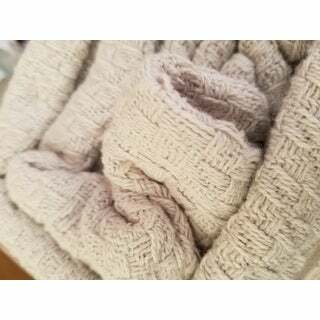 I bought this blanket in silver gray. The color is nice, matched perfectly with my son's bedding and the blanket is soft. The reason why I only gave it 3 stars is the messy lint it leaves everywhere. I have washed it 3 times already and it's still not getting better. We have dark wood floors and his room has fuzzy lint patches all over the floor. The Hotel Luxury Super Soft Cotton blanket is light and very well stitched. It's soft to the touch and keeps you warm. I really am happy with this product and will purchase more of this blanket. These are the nicest, softest blankets that I've had in a long time. I bought two sets for the guest bedroom and decided to use one on our bed. Just perfect and easy to wash and dry. I purchased a queen size and full size blanket. They are square and have plenty of drop on the sides and foot of the bed. Very warm and yet not too warm. Good all season blanket. Highly recommend. Haven't used the cabinet knobs yet but they are good with any décor. I originally selected the dark grey blanket, however I received the light grey. I will say- the light grey is the color I was aiming for, so I am actually happy with my mix up! Lol the blanket it exactly what I thought it would be and am pleased! Blanket really does feel like a luxury hotel blanket. The quality of the material looks nice but the color is TOTALLY different than what is depicted online. The grey is a DARK charcoal grey color not the light color pictured. What's with the cabinet knobs? I received this average blanket that is nothing special... made me itchy actually after trying it. Weird thing is it came with two cabinet knobs. How random. Why would I need knobs?? Blanket is good. I ordered it for our condo in Naples. Good size with enough overhang for King Size bed. Ordered a King, barley fit a queen size bed. This blanket is so nice for that extra warmth needed in the winter without making me too warm. To quote Goldilocks, "this one is just right!" Nice blanket but I did not receive the "bonus" cabinet knobs with my order & I ordered two of these blankets. Just a side issue as it was the blankets I wanted but I dislike deceptive advertising. First off, not too wild about their packaging. The plastic zipper bag that these come in, was torn in 3 places...and this is a gift! The plastic literally shredded as I took the blanket out of the bag to wrap it for Christmas. (I couldn't very well wrap it with a torn bag!) Also, I'm sure due to the tears in the plastic, the blanket had a small snag, and with the weave of the blanket, it's not exactly the type of fabric where you can just "push it thru". It was shipped in a solid white plastic bag with no tears, so it appears that the plastic was ripped like that when packaged, so I'm not sure why it was selected for shipping?? It's very hard to see clear plastic in a photo, but the one is showing the 4" square "flap" of plastic, against my carpet, and the one with my thumb...the slit actually was about 3"-4" long. The 3rd shows the snag on the blanket, at the top of the pic. While to some, it may not be a big deal, but when it is a gift, I feel it should not have any defects at all! And, the blanket arrived 2 days after Christmas, even tho I ordered it Dec 14th. The blanket I received had 5-6 fabric pulls in the blanket as soon as I took it out of the package. I was disappointed in the product. Not big enough for king sized bed . There are multiple good things about these blankets. They are light enough for summer and can Ann another for cool weather. Easily washed and dried. Cool cotton is hard to beat. The only negative that I found is it is easily picked. With a loose weaved material, picking is easy. It's also easy to fix. Washed up great, very warm! These are not cotton sheets. You can get this quality from the dollar store. I would have sent them back however I washed them before thoroughly inspecting them. They started to come apart with just one washing. Save your money! Attractive, soft, non-scratchy, and warm. You can't ask for or receive a better performance from a blanket. I was disappointed in this product. After washing it it does seem a little more "together" than before, but I have older blankets out of much the same material and they while not heavy feeling, do feel more put together. I kept this one because it is too much trouble to return it, however, in the future will not order anything that needs touching/feeling for quality. Cozy, soft and warm without being heavy! The blanket came defective, it was returned and customer service was helpful by sending out another to replace it. As soon as I'm able to open up the replacement, I'll be happy to share information about it. It was a much lighter weight blanket than another that I previously ordered and just what I was looking for in a blanket for our Florida weather. "Please let me know if the canal blue is a aqua color or light blue color. 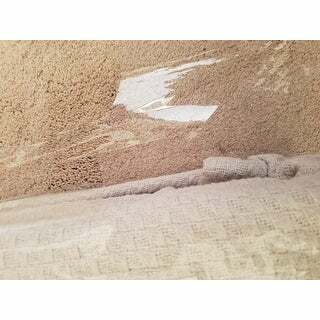 Thank you"
Rachel; I ordered one King in SAND color and 2 Twin in NAVY. The other blues/green you mentioned I am not familiar with. The blankets are soft and well made and I would describe as "thermal". Nice and cozy. "Is the "dark grey" listed in the drop down, the same as the glacier grey in the photo?" "Are all these blankets on the bias as mine is?" Appears to be on the straight of the grain but does have some give (stretch) because of the knit fabric. "What company makes this blanket? The word hotel seems to be used by many companies." Marketing agreements with partners prohibit us from sharing that information. "Is the Canal Blue an aqua color ? I need aqua." Did you end up buying this? Is it aqua? Is it the lighter blue liked the stacked blanket picture or the darker with the single blanket? Did anyone confirm the shade of blue? "Will the Silver Gray color in the Queen size be restocked?" Unfortunately, we do not have a current re-stock date for this item. We apologize for any inconvenience. "What does Patricia C. means, "lots of fuzz"???? Everyone raves about the quality and she says "poor quality", but she gave it 3 stars!!!" Have not had a problem with "lots of fuzz" with this blanket. It is just the right weight with a second blanket for the wintertime and alone it's great in the warmer weather. Hi, bought the aqua colored blanket about 5 months ago. Love this - so pretty. The pattern looks like a basket weave, the color beautiful The blanket is medium weight cotton - perfect for San Diego. No fuzz yet. Using it on a guest bed - has been used about 20 days so far. Its a good value in my opinion.